At the same time, the 2nd face-to-face meeting of the Steering Committee and the 1st face-to-face meeting of the Coordination Committee will take place. The event will also be the occasion to start the activities of the four innovation clusters we are going to set up (Analysis of National Plans, Teachers Training, Content and Tools, Assessment). 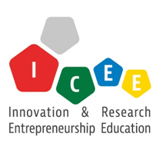 The “Innovation Cluster for Entrepreneurship Education” (ICEE) is the new Erasmus + funded project lead by JA Europe in collaboration with four Ministries of Education (Estonia, Finland, Italy and Latvia) and Enterprise Flanders (representing the Ministry in Flanders, Belgium); three research institutes (Eastern Norway Research Institute, The Foundation for Entrepreneurship - Young Enterprise Denmark and the Faculty of Economics in Osijek, J.J. Strossmayer University); five national JA organizations (Belgium, Finland, Italy, Estonia, and Latvia). The main objective of the project is to analyse the impact of entrepreneurship education and understand what is needed to reach the European goal, which is that every young person should have a practical entrepreneurial experience before leaving school. The consortium will test what the scenario looks like at 50% penetration among students between 15 and 20 years old and carry out 27-month field trial using mini-companies in twenty schools (academic as well as vocational) across the five countries.